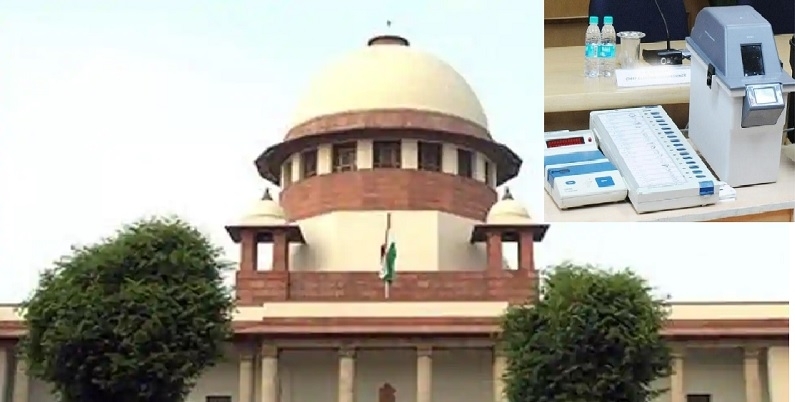 THE Supreme Court will on Friday will hear the plea of 21 Opposition parties seeking audit of at least 50 per cent of EVMs with corresponding Voter Verifiable Paper Audit Trails (VVPATs) before the Lok Sabha results are declared. The application has been filed by Andhra Pradesh Chief Minister N. Chandrababu Naidu (TDP) and several other leaders including Sharad Pawar (NCP), Farooq Abdullah (NC), Sharad Yadav (LJD), Arvind Kejriwal (AAP), Akhilesh Yadav (SP), Derek O’Brien (TMC) and M K Stalin (DMK). In the plea, they requested the court that 50 per cent of results of Electronic Voting Machines (EVMs) must be matched and cross-checked with VVPATs before the declaration of results in the general elections. The case will be heard by a bench headed by Chief Justice Ranjan Gogoi. Earlier, in February, the Opposition parties approached the Election Commission to audit at least 50 per cent of EVMs with corresponding VVPATs in all constituencies during the Lok Sabha polls. A memorandum submitted to the EC was signed by representatives of 21 Opposition parties including the Congress, Aam Aadmi Party, Samajwadi Party and Bahujan Samaj Party who cited “suspicious activities” concerning EVMs in the November-December Assembly polls in five states. The parties have said there are “serious doubts about the credibility of EVMs and the purity of the entire electoral process” and asked the EC to mandate physical countercheck of paper trail and match it with the electronic vote in at least 50 per cent of all EVMs, if not all.